The workwear industry is being revolutionised with the next generation of workwear in 100% stretch, high durability, low weight and an integrated design. A new design at the knees completes the trousers and provides the users with extraordinarily durable trouser knees together with four-way stretch. Freedom of movement, comfort and extraordinary durability are important elements in workwear, and fabric properties are of great importance in determining how the product reacts in work situations. MASCOT knows the importance of proper workwear, so MASCOT has spent several months developing and refining the fabric that is the mainstay of the new, revolutionary products, where four-way stretch and durability are the focus. In MASCOT’s workwear of the future, everything is integrated. 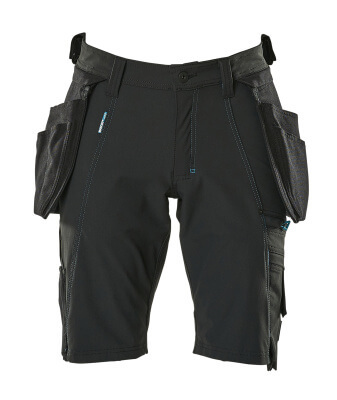 Integrated pockets offer the user not only the ideal ergonomic fit, but also the best possible use of the product’s functions. The combination of four-way stretch, high wear resistance, low weight and a water-repellent finish is quite unique, and when combined, they offer the best workwear for the craftsmen of the future. The combination of the newly developed super-fabric with a new, revolutionary design at the knees results in the work trousers of the future. The kneepads are easily inserted from the sides – not from the bottom or top. 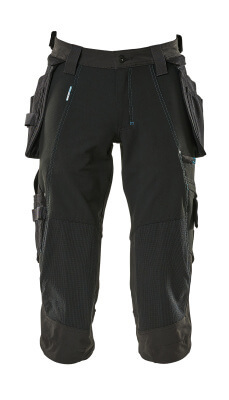 Ventilation at the knees through a zipper at the sides increases breathability and comfort in kneeling work positions, and a narrow fit ensures there is no excess fabric to bunch at the back of the knees. You know CORDURA® and Kevlar® as respectively durable and puncture resistant fabrics, but sometimes the situation demands even more durability. MASCOT has therefore developed a new material for the kneepad pockets. In addition to it being developed with stretch to increase the freedom of movement, CORDURA® and Kevlar® have been combined with Dyneema®. This special composition brings the durability to class of its own. 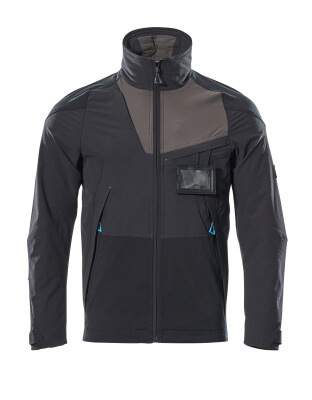 Innovative fabrics, functions and pockets result in clothing that feels like a second skin.